February 21, 2012  Former International Monetary Fund managing director Dominique Strauss-Kahn, who faced a sexual assault charge in New York City last year — a charge that was dropped — is being questioned about an alleged multinational prostitution ring. October 13, 2011  A French journalist accused the former head of the International Monetary Fund of assaulting her. Earlier this year, New York prosecutors dropped their investigation of a maid's claim that he attacked her. September 19, 2011  The former head of the International Monetary Fund also expressed regret to his wife, his family and the French people. But, he did not apologize. 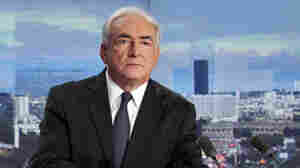 August 30, 2011  Our vigilant audience heard errors in last week's Strauss-Kahn coverage. All Things Considered aired corrections, but no explanatory note made it online. August 26, 2011  Reporting on the Strauss-Kahn case underscores an American squeamishness over employment of domestic workers. August 23, 2011  As it heads for possible landfall in the Carolinas later this week, Irene is getting stronger. July 6, 2011  Families of victims of London's 2007 bombing may have had their phones hacked by investigators working for News of the World. July 1, 2011  The sexual assault case against the former head of the International Monetary Fund may be collapsing. 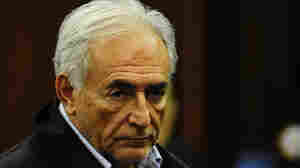 May 20, 2011  Dominique Strauss-Kahn did not lose his job for having had an affair with a subordinate. But the fund did deem it a "serious breach of judgment," says IMF temporary chief John Lipsky. 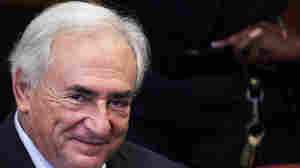 Now, Strauss-Kahn is accused of sexually assaulting another woman. May 18, 2011  A London bookie is taking bets on who will replace Dominique Strauss-Kahn. The top two favorites are officials from Turkey and India — which is striking, given the fact that the IMF has always been run by Western Europeans.